Jewar Airport Gets Centre’s Nod: Good Times for Realty in Noida-Greater Noida? 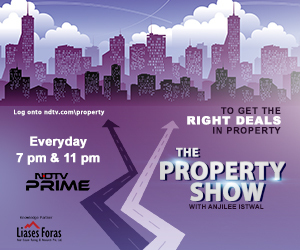 Finally things are expected to look up for the real estate markets of Noida-Greater Noida. After a wait of over 15 years, the Civil Aviation ministry has given in-principal approval to set up the international airport at Jewar, Greater Noida. This is expected to infuse a new lease of life to the property markets here. 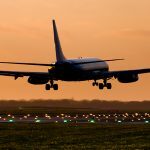 Absence of an airport near Noida-Greater Noida was being seen as a major disadvantage for the real estate markets here in comparison to Gurgaon. The distance from Indira Gandhi International Airport located in Palam, Delhi to Gurgaon is just about 14 kms as against 33kms to Noida and 49 kms to Greater Noida. 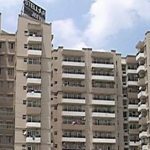 Gurgaon flourished not just as a residential destination but as one of the favoured commercial and office destination too while Noida-Greater Noida struggled. "This decision will have a multiplier effect. We are expecting a huge boost to the real estate market, property prices are expected to increase now. 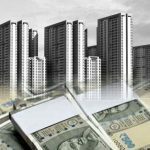 A lot of corporate would now look at Greater Noida as it now will have dual advantage of better connectivity and better planned location. Furthermore, economic activities in the region will now pick up," Amit Modi, VP, CREDAI , Western UP and Director Aba Corp said. According to Civil Aviation Minister Ashok Gajapathi Raju, the airport would come up at an estimated investment of Rs 20,000 crore and should be operational in the next five years. The airport will have capacity to handle nearly 30-50 million passengers annually over the next 10-15 years. The Yamuna Expressway Industrial Development Authority (YEIDA) has notified 3,000 hectares for the project. The proposed airport at Jewar has been in the news for a very long time as it has been one of the most contested and sought-after projects for previous governments, including of the BSP and the Samajwadi Party. The project was first conceived in 2001 by the then BJP government. It got a green signal from the BJP government at the Centre in 2002. The project was shelved in 2003 when Samajwadi Party came to power in Uttar Pradesh in 2003. The project was revived in 2010 under Mayawati's rule in the state. One major issue for the delay has been the fact that the proposed airport falls within a 150-km radius of the Indira Gandhi International Airport (IGI), thus contradicting an agreement signed with the GMR-led consortium Delhi International Airport Private Limited that manages the IGI Airport. The proposed Noida International Airport at Jewar will be located 72 km from IGI airport and 65 Km from Hindon Air Force station in Ghaziabad. Meanwhile, YEIDA has decided to revive the high-speed Metro link project between Greater Noida and the proposed Jewar international airport. YEIDA officials discussed the issue with officials of Delhi Metro Rail Corporation (DMRC) regarding feasibility and cost of the project. The proposed metro line will be 35 km long. A decision on the project is expected soon. Jewar Airport at Greater Noida May Hit Turbulence? SAM CUNNINGHAM: Chelsea vs Manchester United used to decide titles… now some viewers may decide not to watch it at all. Sportsmail looks at where the No 1 fixture has fallen down. Chelsea vs Manchester United used to be the Premier League’s biggest game, now it’s almost an irrelevance… what’s happened? kostar online, http://www.aidseducation.org/apotek/benzacne , säljes piller. I don’t even understand how I ended up here, but I thought this submit was good. I don’t realize who you’re but definitely you are going to a well-known blogger in case you aren’t already 😉 Cheers! ktdcilv,Hi there, just wanted to say, I liked this article. It was helpful. Keep on posting! ebubkxxdypr,Your blog was informative and valuable to me. Thanks for sharing. cscfyhij,If you are going for best contents like I do, just go to see this web page daily because it offers quality contents, thanks! ouwdzk,This website truly has alll of the information and facts I wanted about this subject and didn?t know who to ask. gywuktqmkfx,We have a team of experts who could get you the correct settings for Bellsouth net email login through which, you can easily configure your email account with MS Outlook. lnfvhttvcnj,Hi there, just wanted to say, I liked this article. It was helpful. Keep on posting! wvgmgzbak,Definitely believe that which you said. Your favourite justification appeared to be on the net the simplest thing to remember of. uhytndp,Quality blog, keep up the good work. You may check our website also! chfpiweuv,Thanks for ones marvelous posting! I actually enjoyed reading it, you will be a great author.I will always bookmark your blog and will gjncvem,come back from now on. I want to encourage that you continue your great writing, have a nice afternoon! juzzegg,A very good informative article. I’ve bookmarked your website and will be checking back in future! jhorwnqbphh,Some really nice stuff on this website, I enjoy it. yqlzztlyehq,A very good informative article. I’ve bookmarked your website and will be checking back in future! weupseoqrf,Thanks for sharing such an amazing blog. I am so happy found this informative blog. eoswkpivxh,A very good informative article. I’ve bookmarked your website and will be checking back in future! I want to express my thanks to the writer for rescuing me from this particular dilemma. Just after researching through the the net and obtaining recommendations which were not helpful, I figured my entire life was done. Being alive devoid of the answers to the problems you’ve solved by way of the guide is a critical case, as well as ones which might have negatively damaged my career if I hadn’t noticed your site. Your actual know-how and kindness in maneuvering all the pieces was valuable. I am not sure what I would have done if I hadn’t come across such a solution like this. I’m able to now look forward to my future. Thanks very much for the specialized and results-oriented help. I will not think twice to recommend your web page to any individual who should receive counselling about this situation.